So hopefully by now you know I am all about learning from the competition! Following competitors on Twitter, Facebook, and Instagram is another way to get valuable insights to help the local businesses you represent. Staying ahead of the competition requires knowing where the competition stands, how they are doing and what you can improve upon. Let’s dive in and explore how you can use social media to learn from others. Simply observing social media activity can reveal plenty about a brand’s marketing strategy. Look at which social channels other businesses are most active on, how often they post updates, what time of day they share content, and whether or not any of their content is sponsored (i.e., whether they pay to get more views and engagement). Size up how effective a brand’s social media marketing tactics are by looking at their engagement levels, and take note of brands receiving a consistently high number of comments, shares, likes, and replies. Successfully connecting with consumers on social media requires sharing content that inspires engagement. Follow similar businesses and brands to see what type of content their audience enjoys most. For instance, do their followers prefer humorous GIFs over informative articles? Do certain hashtags or keywords result in more retweets or reactions? Keep in mind that what works best on Facebook might not translate well to a tweet, so it’s important to consider how content can be repurposed and presented differently across multiple social networks. There are several things businesses can learn from analyzing their competitors’ social media fans and followers. The consumers following competitors can reveal insights into the target audience of the business you represent, including online behaviors and preferred social media channels. Scoping out a competitor’s connections can help identify industry influencers who might be interested in partnering up or reviewing products. Remember to look at the competitor’s followers as well as who the competitor is following back. 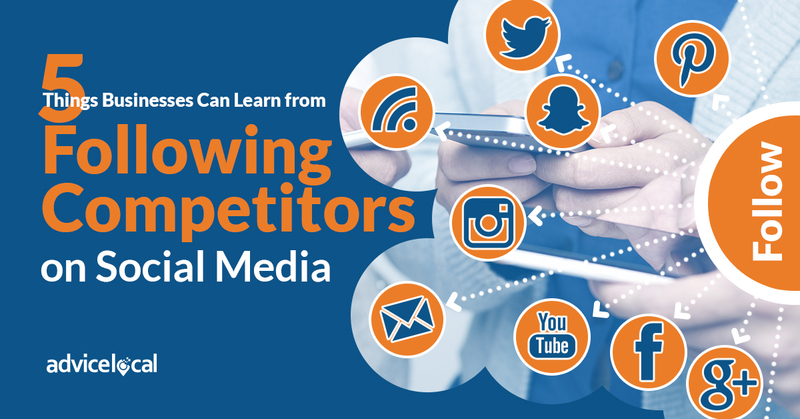 In addition to finding out what strategies work well for similar brands on social media, businesses can also learn from their competitors’ mistakes. Anytime a business or brand fails to address a negative comment or acknowledge a customer concern, it presents an opportunity for competing brands to think about how they could have handled the situation better. In some cases, it may even be appropriate to step in and provide the answer or resolution sought by the competitor’s audience. Following competitors on Twitter is like subscribing to a steady stream of relevant industry news. Whether checking out what they’re retweeting or following links to their latest blog posts, other brands in the industry are sources of real-time updates and information that may be relevant to you. Brands can use social media to gain awareness about trending topics, events, and anything else top industry brands or local competitors are posting about. It’s about more than just following the competition on social media. Explore studying the competition to rank higher in search.